Clear Channel Radio Austin is always looking for Account Executives to join our team. Prospect, market, sell and service advertising air time and non-spot revenue. Negotiate business based on industry ratings in order to maximize station revenue and share within parameters set by station management. Achieve revenue and share goals set by Sales Manager. Develop new advertisers by soliciting area businesses. Service clients to maintain positive working relationships. Prepare sales orders and production requests in timely manner. Resolve billing discrepancies and assist in collections of past due accounts. Provide regular reports to Sales Manager regarding prospective sales orders, daily call sheets, itineraries, new prospect lists, forecasts, and competition analysis. Monitor competitive media to continually prospect for new account leads. Follow station/company practices/policies for processing, invoicing, calculation of sales. Adhere to minimum standards of performance as established by Sales Manager. Develop account list from various sources. Conceive and execute written proposals. College education preferred. Background in related media sales with a minimum of two years\’ experience. Outstanding marketing/presentation skills. Strong organizational skills. Must possess understanding of ratings services. Conversant in radio broadcasting vocabulary. Computer literate. Excellent oral and written communication skills. Knowledge of FCC rules and regulations relating to advertising copy. Strong interpersonal skills. 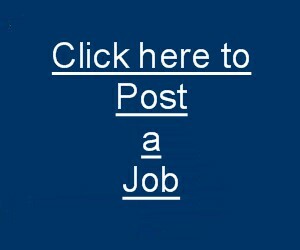 Apply online at www.clearcareers.com by 12/31/2012. Applications and resumes submitted by other means will not be accepted. Clear Channel Media + Entertainment is an equal opportunity employer.